Damp in construction is amongst the most frequent problems encountered, thorough damp proofing is therefore vital to prevent moisture from passing into the interior spaces. DPC and DPM are most commonly applied at below floor level which restricts the movement of moisture through walls and floors. This safeguards concrete from gaining any moisture and helps prevent cracks. Commonly manufactured from flexible materials such as Bitumen felts and polythene sheets the damp proof course is both strong and durable. At Civils and Lintels we work with manufacturers like Visqueen, IKO and Frank Mercer to bring you a comprehensive range of damp proof courses. Our damp proofing range includes high performance, eco and CPT membranes. Visqueen Ecomembrane – This Damp proof membrane is manufactured from 100% recycled polyethylene suitable for use below concrete floors where there may be capillary rise of moisture and as a Type “A” damp proof membrane as defined by BS EN 13967: 2012. This cost-effective membrane is available in 250μm, 300μm and 500μm thicknesses and in convenient multi folded rolls. Visqueen High performance DPM – This high performance DPM is manufactured from prime virgin polymers for use as a Type “A” damp proof membrane as defined by BS EN 13967: 2004. The 500μm membrane is manufactured as a centre folded product to limit creases which aids jointing and welding applications on site. Centre Folded films can also help to reduce cracks found in structural concrete screeds where traditional multi-folded DPMs are used. This membrane is mostly suitable for use in concrete floors in domestic and commercial applications such as schools, hospitals, leisure and shopping centres. Visqueen Zedex CPT High Performance – This damp proof course is designed for use in all modern construction applications, it is manufactured from co-polymer thermoplastic (CPT) providing all the characteristics necessary for it to perform effectively for the lifetime of the building in which it is incorporated. Most suited for use as a horizontal or vertical damp proof course and can also be used for cavity trays and stepped applications. This DPC is generally unaffected by adverse weather conditions and normal, ambient temperature variations – the material remains flexible, is easy to work and will not become tacky. Benefits of this system include its excellent tear resistance under high compressive loads, low permeability to Radon and Carbon Dioxide gases, it is certified to BBA standards and contains no hazardous pitch or PVC plastics. 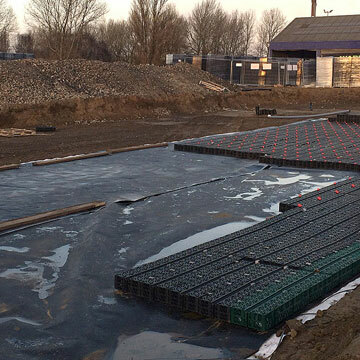 Buildbase Eco DPM – This DPM is suitable for use in solid concrete ground floors to protect buildings against water from the ground providing an effective barrier against liquid or water vapour for the lifetime of the concrete slab in which they are installed. 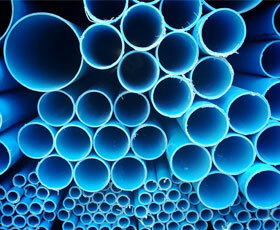 Manufactured from high quality recycled polyethylene it meets both BBA and P.I.F.A standard. IKO Hyload trade and original DPC – This is a flexible polymeric sheet material used within masonry walls to prevent passive moisture from the ground and at all levels as a cavity tray to prevent the downward movement of water. 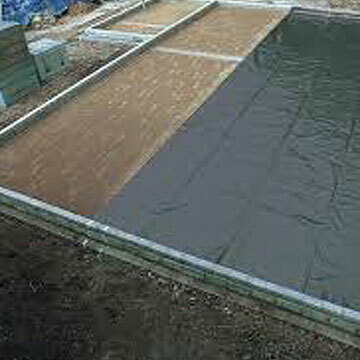 This DPC does not extrude under load in normal working conditions and has excellent resistance to impact damage. Hyload contains over 70% recycled materials and is BBA approved (No 95/3133). If you need to choose the right DPC or DPM for a project, contact your local branch for advice.